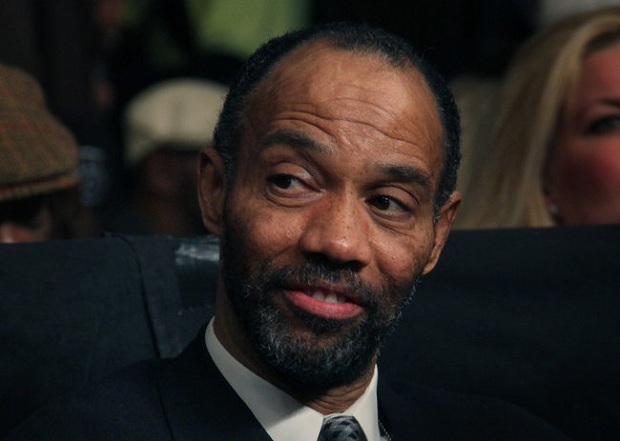 Over at The Sweet Science, Michael Woods is reporting that Al Haymon’s attempt to corner the boxing television market may claim a casualty near and dear to your columnist’s heart. 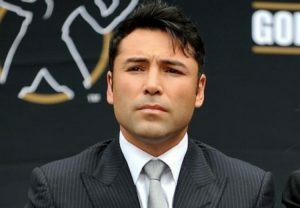 ESPN may sign a deal with Haymon wherein the “adviser” (read: racketeer who has exempted himself from the Muhammad Ali Act by claiming to be neither a manager nor a promoter while in practice doing both and flouting the law knowing it’s not enough of a political coup for anyone in the federal government to come after him) provides the fight cards out of the same stable he’s sold to CBS and Showtime and the entire list of new network contacts that the sport’s gained over the past few months. The problem with all of the above is that it would mean the death of Friday Night Fights, a show that has showcased a diversity of promotional outfits and even done some string-pulling of its own to put on stuff like the ongoing Boxcino throwdowns that were so successful last year and have gotten off to a flying start this year. The weekly series may be canceled as early as late spring, replaced by these Haymon-pulls-the-strings “boxing specials” under the Premier Boxing Champions (PBC) brand that is all over the other networks. 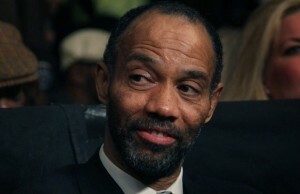 In essence, Al Haymon is making it official—he aims to be Dana White, and nobody else better stand in his way. Time was, all this boxing on network television would’ve been seen as the sport coming back from the dead. Time was, if Friday Night Fights went the way of the dodo, it would probably have been a sign that boxing was about to go Children of Men and die out when the last remaining fan died of old age. MMA was part of that, sure, but the real culprit was boxing’s own business model, a model hostile to the acquisition of new fans for simple reason of kids don’t have the disposable income nor do they have the desire to buy pay-per-views. If you can’t show a fighter’s rise to stardom on free shows, then who’s going to want to spend money to see that guy when he hits it big? The bigger issue here is one of monopoly. The UFC controls with an iron fist the mixed martial arts world, and that means that what Dana White wants, Dana White gets, and to hell with the good of the sport or even a free market that allows the best to rise to the top. You just get bros in bars watching UFC events numbered ever higher (the dive near your columnist’s house advertises “watch UFC 184 here”) and still commanding an actual buy-in on every single event. It’s WWE Raw for thirty bucks a pop, and it’s why MMA has faded from the limelight somewhat recently, between the resurgence of boxing and the sport falling into the same worst-case-scenario trap outlined above for the sweet science. Al Haymon’s also not exactly known for putting on competitive fights with all that talent he’s assembled—Haymon is the maestro of the overhyped squash match. Adonis Stevenson fights Sakio Bika on national television on April 3, the first of the new PBC fights on CBS, the latest in a line of patsies that isn’t doing any favors for Stevenson’s reputation and which makes the man’s signing with Haymon look like it’s doing real damage to Stevenson’s legacy. Sakio Bika is a live underdog, but only just—this dog’s at the vet waiting for the Great Big Kennel in the Sky. 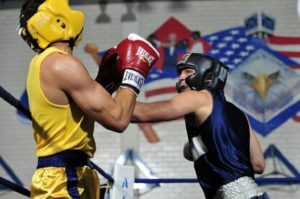 Bika’s likely to go the way of Dmitry Sukhotsky and Andrzej Fonfara and Tony Bellew—Adonis Stevenson hasn’t fought anyone worth a damn since he smashed Chad Dawson in one round, and Al Haymon’s got his charge ducking the real competitive fights with the likes of Sergey Kovalev and Jean Pascal. 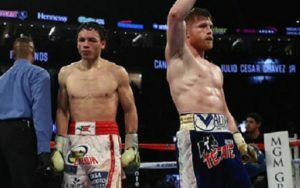 The point of all this is that Al Haymon is trying to corner the market, and it’s looking more and more like that’s going to be a short-term cash-in with a long tail of unfortunate consequences as the sport suffers from reduced quality of fights, of a gulf growing between the haves and the have-nots, and possibly even more divisions turning into the heavyweight division, where the only way to sidestep the Haymon choke hold on the product is to put on fight shows in places like Germany where everyone outside the United States gets to see the champion of the world while America is at best a sideshow and at worst the kind of place that gloms on to Deontay Wilder as if he were Wladimir Klitschko. As time goes on, kids are going to turn away from that too. You can’t keep selling Taco Bell steak like it’s Ruth’s Chris. There have been plenty of charges leveled against Al Haymon, but the one that sticks is that the fight cards he puts on tend simply to not be very good. Now he wants to go after ESPN? He wants to go after the best flagship show in all of the land of untested prospects and tomorrow’s stars and apply that Haymon magic to house fighters? That’s supposed to be better for everyone in the long run? Say it ain’t so, ESPN. Say the rumors aren’t true and that the Worldwide Leader will continue to act as the arbiter of keeping the market open for competitive fights to naturally emerge with fighters who use the weekly show as a chance to get exposure without having to join Al Haymon’s mafia-style protection racket for fighters’ careers. If there’s a deal on the table, walk away. Even the mob backs down when a powerful force capable of standing against them comes around. Fox Doucette covers Friday Night Fights for The Boxing Tribune and writes the weekly What If alternate-history series for this publication. His opinion column, The Southpaw, appears on Thursdays. 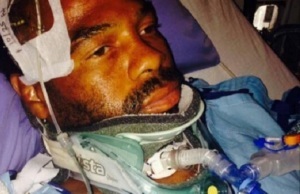 Fan mail, hate mail, and Al Haymon’s hired goons can be sent to beatcap@gmail.com.